Life with the Lundgrens: Go Wildcats? 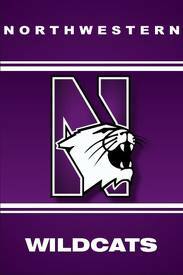 To Northwestern University!! We'll be pioneering Chi Alpha there. We're super excited! I won't go into much detail cause the details are here. I do want to say, that you know you must really be called by God when you're willing to wear purple and cheer for the Wildcats! I did tell God I would do anything for him.